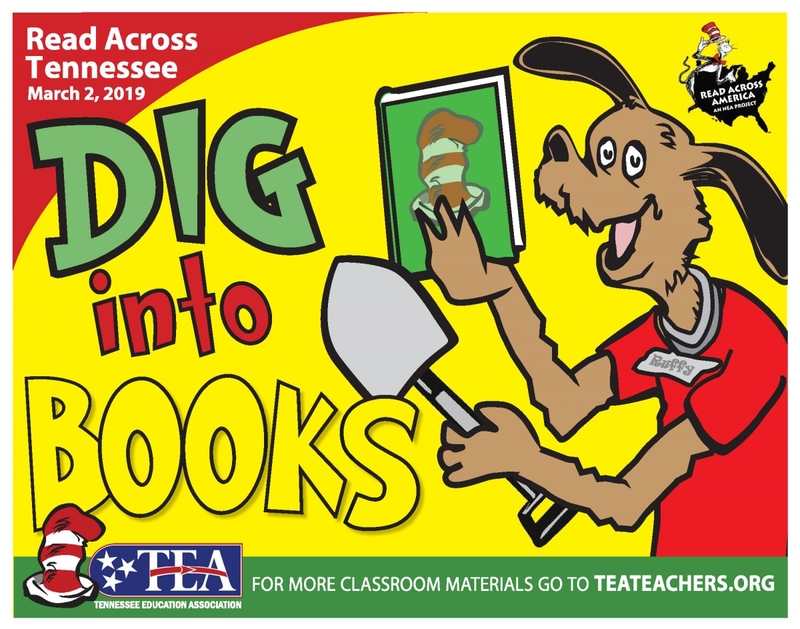 TEA is expanding the popular Read Across America celebration and bringing a Tennessee twist to it. 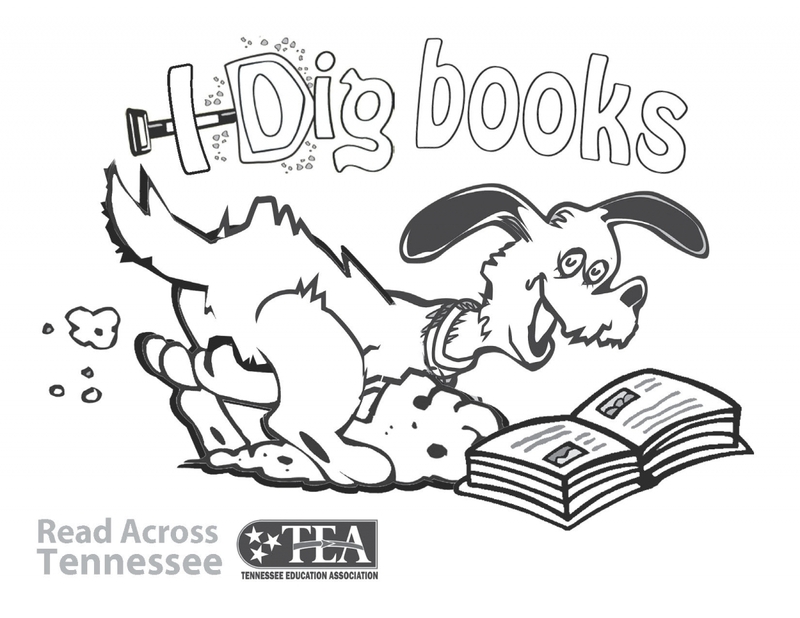 The theme for Read Across Tennessee is “Dig Into Books,” featuring Ruffy the Reading Dog. 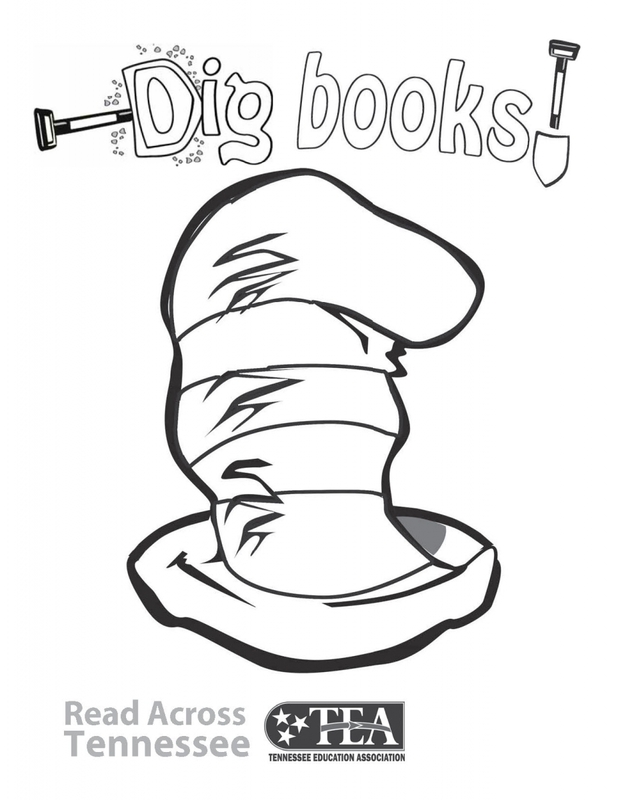 The annual celebration falls on March 2, Dr. Seuss’ birthday. TEA drew a picture of a Tennessee dog as Seuss would have, complete with a state-shaped dog tag. 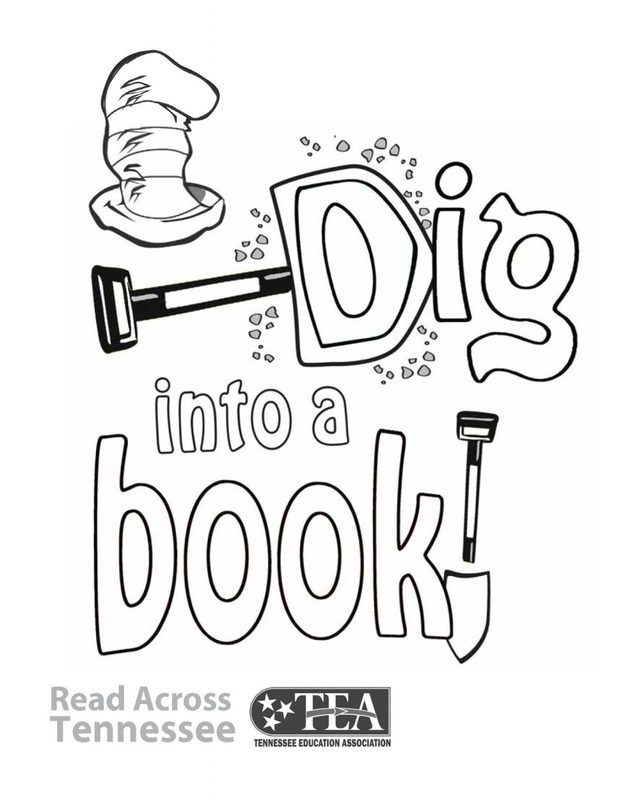 TEA has created coloring sheets, bookmarks and other classroom materials to make the celebration a special one. 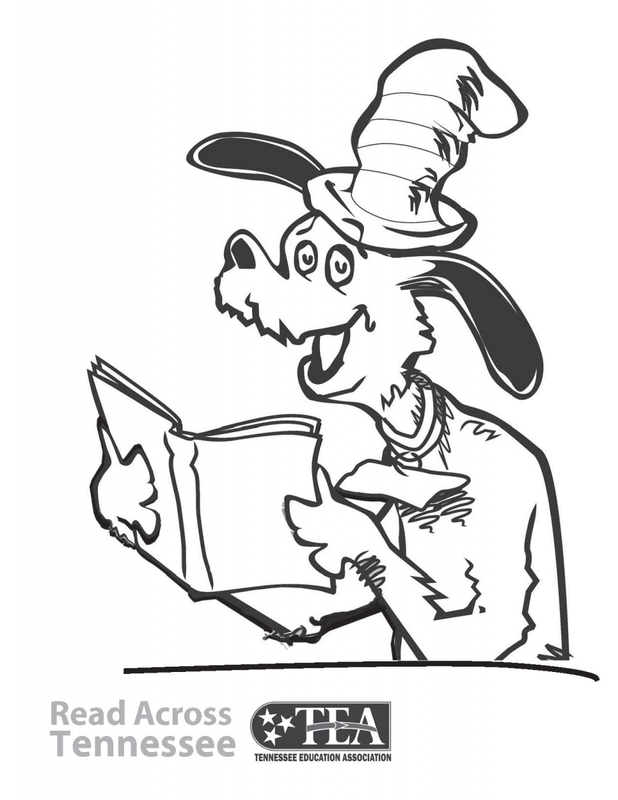 Read Across Tennessee materials include a poster found in the latest issue of TEACH (and available below to download), and other materials easily downloaded. Additional posters, bookmarks and classroom supplies can be ordered from TEA, just contact your local UniServ director.